Effective communication skills are vital to creating positive relationships and to resolving conflicts in the workplace. Excellent communication skills are also essential to achieving productive and meaningful interactions with your team. However, effective communication is more than just transferring information from one person to another. It’s about understanding the message behind what is being said. In face-to-face communication, not only are words and tone important, but non-verbal clues can be key to getting the message across to your audience. Good listening skills are also one of the most important factors in human interaction. It would seem to be relatively simple. You have a message you need to convey. You present the information, you are heard by your audience and you believe you are understood. However, …. Fast Fact: 46% of employees leave a meeting not knowing what they’re supposed to do next. You need to ensure your face-to-face communication is clear, concise and absolutely understood by those receiving your message. So here are 6 tips you can use every day to ensure your face-to-face communication is effective. Recognise the impact of face-to-face communication and appreciate the advantages over email, text or phone. Direct communication allows you to not only convey or receive information via spoken words, but to factor in such things as individual behaviours, and personality preferences. Being in the same room as your team, instead of at the other end of an email chain, promotes understanding, further discussion and problem resolution. It’s important to understand the value of the unspoken communication in the room. Be aware of your own body language when you are delivering a message. Be aware of the body language of your audience when they are receiving it. A person’s demeanour can greatly influence how the recipient interprets the message. When you speak in an even tone with direct eye contact, and a friendly facial expression, your message is likely to be received as positive or at least neutral. Body language that communicates negative feelings, such as crossed arms, lack of eye contact, clenched fists and a serious expression, is likely to be interpreted in that context. For effective communication you need to be aware of your own body language. You can also do simple things to make your team more receptive to your message. Don’t use the incorrect tone, as this can stop your message from being understood. For instance, you wouldn’t use a cheerful tone when delivering a disciplinary message. Realise that your words have an impact. In order to create a positive impression, you need to deliver your message in a clear and concise manner and phrase your words in a business context. Also, keep your language up to date, as popular words and phrases come and go on a regular basis. If you have to deliver bad news, it is crucial that you do this without creating conflict or damaging trust in the workplace. Also remember that last words linger – so don’t waste them. The last words you say provide you with the opportunity to embed your message into the minds of your listeners. Have a strong, relevant ending to your message, as this will boost your credibility, satisfy your audience and increase their trust in you. If you require action from your team, ask for it. Deliver a call to action, or provide them with how-to steps. Fast Fact: Your last words crystallise your message and activate your audience. Remember that effective communication is a two-way information sharing process. When you send a message, it needs to be easily understood by the receiving party. When they respond with comments and questions, active listening helps you process messages in a focused manner and respond in a way that encourages and furthers communication. This method allows both you and the recipients of your message to remain engaged, indicate understanding and clarify any points without interjecting or arguing. Fast Fact: Most people usually only remember about 17 to 25% of the things they listen to. It’s important to introduce creativity into your communications to keep your recipients engaged. Try these ideas to mix it up a bit and feel more connected with your team. Increasing creativity in communications can have a powerful effecting in creating a more collaborative and transparent atmosphere, making your employees feel more connected and engaged. Think about how much more you get out of face-to-face communication than communication that is just based on email or telephone calls. There are so many visual cues in a face-to-face communication that it’s hard to deny its effectiveness. How many times have you had miscommunication with someone via email or telephone that would not have occurred had you been speaking directly with one another? When you are able to see the person to whom you are speaking, you receive visual cues on whether or not they understand what you are saying and you give them visual cues as well. However, there are times when email or phone calls are your only option, so you need to manage these communications as well as you can. Here are some tips for effective communication on the phone, or via email. If you have to leave a voicemail message, keep it short and be clear about the reason you are calling. Also let the other person know how they can best contact you. Fast Fact: Millennials do not like talking on the phone, with only 20% of smart phone usage being for making actual phone calls. However, email remains popular among millennials. Effective communication is a vital skill in the workplace. It can be used to create positive relationships and resolve conflicts. The process of communication becomes both more respectful and clearer when both parties focus on sending clear messages and using active listening skills. 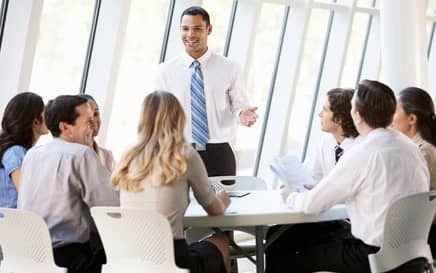 Therefore, learning effective communication skills is vital to achieving productive and meaningful interactions every time, with individuals and with your team. If you would like to undertake Effective Communication training, visit the CTO website to receive a quote or make a booking. CTO training is provided in your workplace, and every course is customised to suit your business requirements.